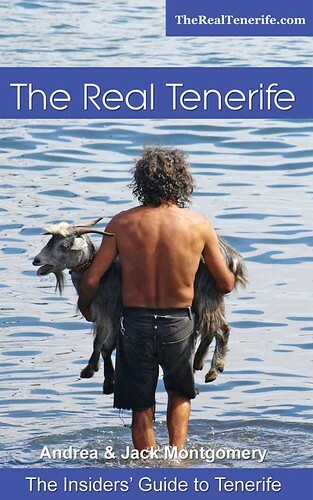 We get asked a lot for recommendations for good walking companies on Tenerife but we don’t usually make suggestions as we haven’t walked with any and therefore can’t vouch for them. Some experiences whilst on the Tenerife trail have reinforced our view that not all companies are completely ethical when it comes to how they conduct themselves, some show little or no respect for other walkers. 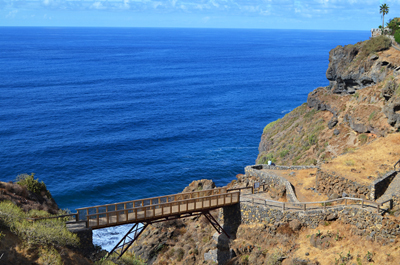 Masca Barranco is the main walking location on Tenerife for witnessing this. Last time we walked it we hit the main path just as a ‘guide’ was briefing his large group. There are a number of times over the year where we’ve tried to get past a walking groups which have stopped on the path. 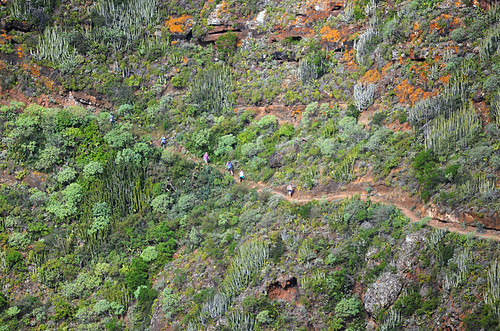 Masca Barranco is a route which is popular with some people who aren’t usually walkers, subsequently not everyone knows standard etiquette. So some stand blocking the path like clueless sheep, forcing people to go around them, which can be dangerous. A few years ago a woman broke her ankle after falling when trying to go around a large group. A guide advising their charges to not put themselves in danger is sensible, but not advising them to also be aware of the danger they might pose to others is a sign of an unprofessional guide and an unreliable walking company. 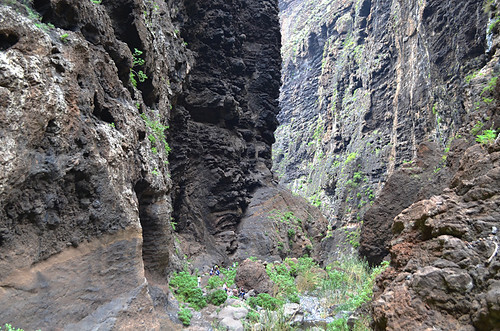 Half the time when walking the Masca Barranco we emerge at the sea filled with a mix of exhilaration at completing one of Tenerife’s classic routes and outrage at the dodgy practices by some, not all I hasten to add, of the walking groups descending the gorge. It’s not so much a problem anywhere else so I suspect Masca’s popularity attracts some who aren’t as experienced when it comes to leading large groups. An email we received recently highlighted another potential problem with those walking companies which see themselves as having priority over others. 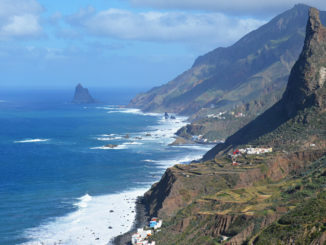 The email recounted an experience in Puerto de la Cruz bus station where the leaders of a walking group tried to jump the queue on a bus route to a popular walking destination. It’s one thing large walking groups taking up limited space on public buses anyway (you’d think they’d have their own transport) but being completely disrespectful of others is something else. I was glad to hear the people who told us about this weren’t having any of it and made sure they rightfully got on the bus before the group. My advice to anyone in a similar situation is to be assertive and do the same. If whoever is leading the group gets in the slightest bit shirty let them know you’ll name and shame. It’s simply unacceptable practice. 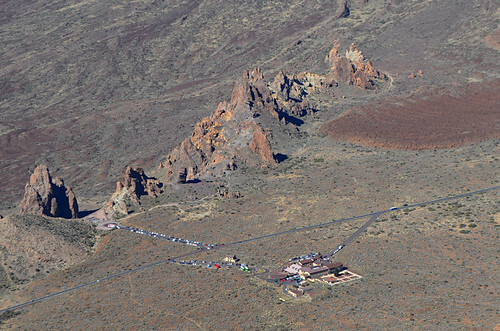 A tip if heading up to Teide National Park is to book your seat on the bus online. 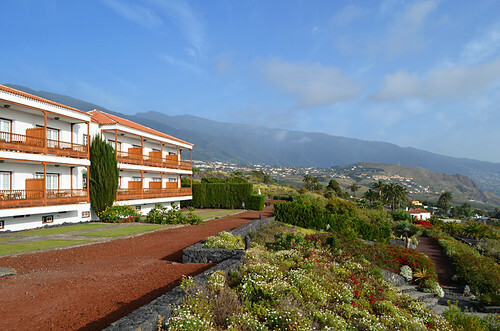 You can do so from Puerto de la Cruz and Costa Adeje 48 hours in advance. Here’s a link to the bus company’s website. 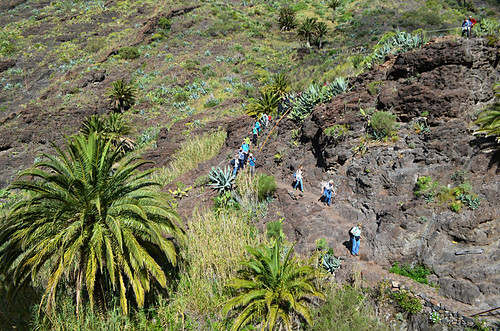 Although there are those who we personally wouldn’t walk with, there are plenty of professional companies on Tenerife who offer guided walking. 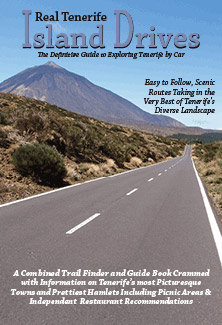 We haven’t walked with Patea Tus Montes for example, but they come recommended by the Tenerife Tourist Board and when our paths have crossed on walking routes I’ve liked their attitude, plus they seem like nice, dedicated people. Finally, here’s an experience with an organised walking group which left us with ironic smiles on our faces. 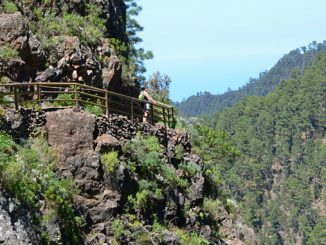 Whilst staying at the Parador on La Palma, where we were designing walking routes for a new slow travel holiday on the island, we were approached by a couple who turned out to be guides for another UK travel company specialising in walking holidays. 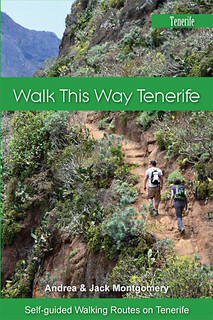 One of them asked if we knew La Palma well and when we answered “yes” then asked if we had tips for any good walking routes. On the following day we left the hotel to start a route just as a coach deposited a new batch of hikers at the Parador. As they collected their luggage one of the guides gave instructions to the driver by shouting them slowly, loudly and in English. It was like a scene from a bad comedy sketch. And these were the company’s La Palma specialists, flown in from the UK to ‘show’ customers the island. I’ve just today had an experience with a large group of walkers (20+) while walking above Santiago del Teide, which has left me fuming. As our small group of three approached the group on a wide forest pista, the talk being given by the guide finished just as we pulled level and rather then let us pass, off they all marched. This meant we ended up walking in amongst them, something that I find really annoying. To extricate ourselves from the group, who were walking fairly slowly, we walked along the grass verge at the edge of the pista. As I approached the leader, she turned and said quite rudely, ‘don’t walk on the flowers (there weren’t any) and don’t overtake! I was so stunned I remained speechless as I stared at her and carried on marching past. It seemed to have escaped her notice that if her group hadn’t been blocking the entire path, we could have passed by unhindered without the need to walk on the verge. Had I not been so amazed at her rudeness I would have pointed this out to her. I have often encountered large groups being led by guides that make no effort to ensure that their group does not block the path for other walkers.